The SILI JB pump is a light weight portable fire pump for marine or industrial industry, which combines the benefits of high pressure fire fighting performance with an extremely compact design. 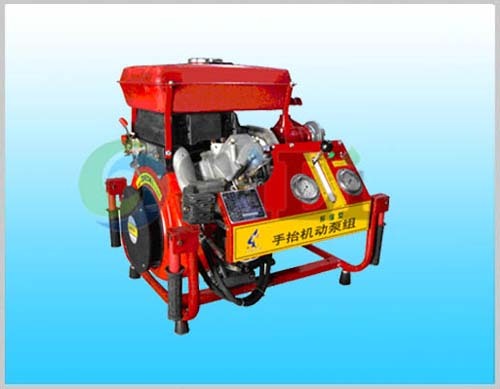 It can be also called portable emergency fire pump or emergency fire fighting pump. The SILI JB marine portable fire pump unit is designed to be carried by two people and operated by one. It can be started by electric start or and a simple hand start with decompression facility. This portable fire pump is equipped with a rotary vane vacuum pump. So it can be put into service quickly and easily in an emergency situation. The self-priming head max to 7m. Pump typical flows ranges from 40m3/h to 90m3/h, and the pump max head is 80m. 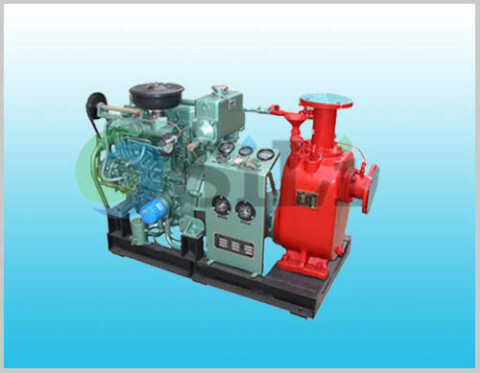 The pump engine can be in both diesel oil engine and gasoline engine. In Honda or Chinese original engine brand. The engine power ranges from 11HP to 25HP. Usually it is in four-stroke double cylinder air-cooled type engine. SILIPUMP marine portable fire pumps use robust cast pump casings (cast aluminum or cast iron), so it allows the use of substantial input pressures from hydrants. This JB marine emergency pump can be widely used for fire-fighting purpose on board ships and vessels. Because its portable feature, it can be used in deck, in engine room, in cargo hold, and any other suitable space. It is a good supplement for marine marine fire fighting pumps. It can be also used us a deck washing pump. This marine portable fire pump can be easily connected with the international standard fire hose. Just contact us freely if you have the portable fire pump or movable fire pump inquiry. Detailed pump specification and size information can be provided as per your request. Standard pump supply range: pump, engine, starter and its battery, other pump accessories. For this pump, certificate of classification society is not available. Usage or application: this portable fire pump is mostly used for emergency fire condition in marine and industry purpose.